Ride is firm on 16-inch wheels, smaller engines can be noisy on the motorway. No reach adjustment in the steering column. Recurrent front subframe bulkhead mount failure is a worrying fault and MoT failure. 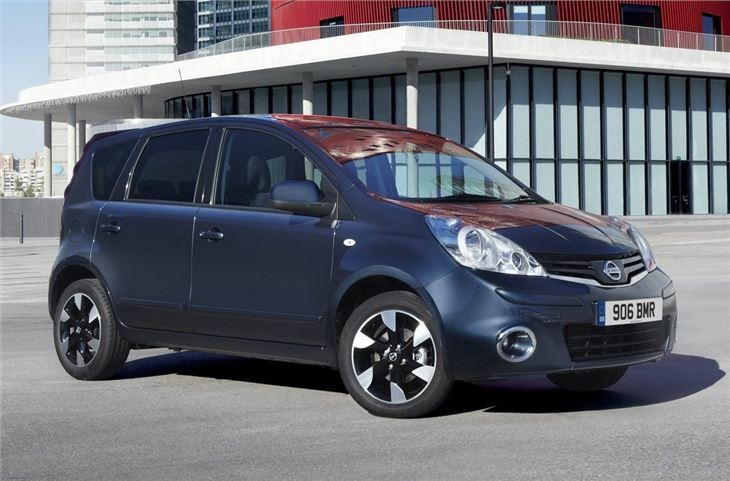 Nissan isn't afraid to do things differently and this shows in the Nissan Note. 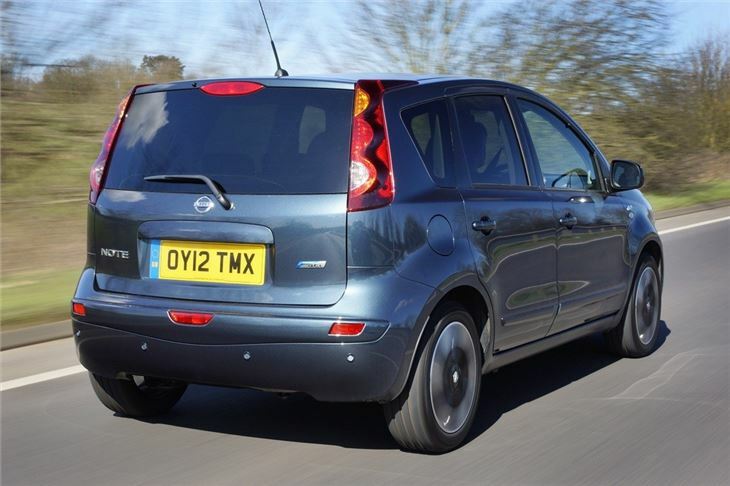 It's a small yet practical car that's somewhere between a hatchback and a mini-people carrier. 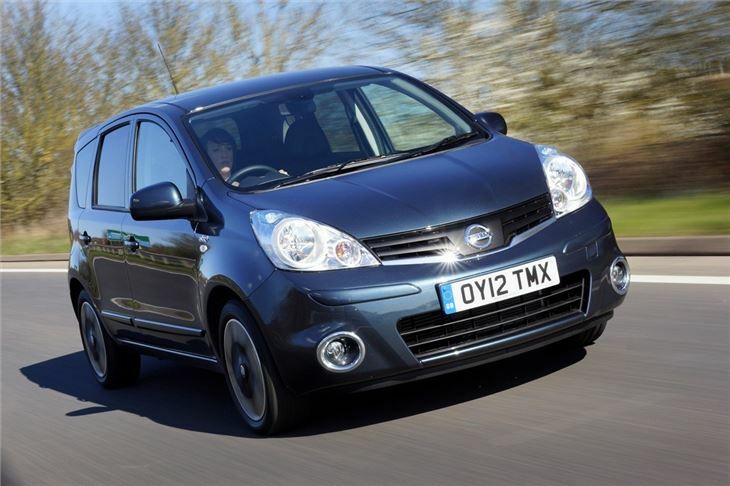 This means it looks neat and compact, yet has plenty of passenger space. 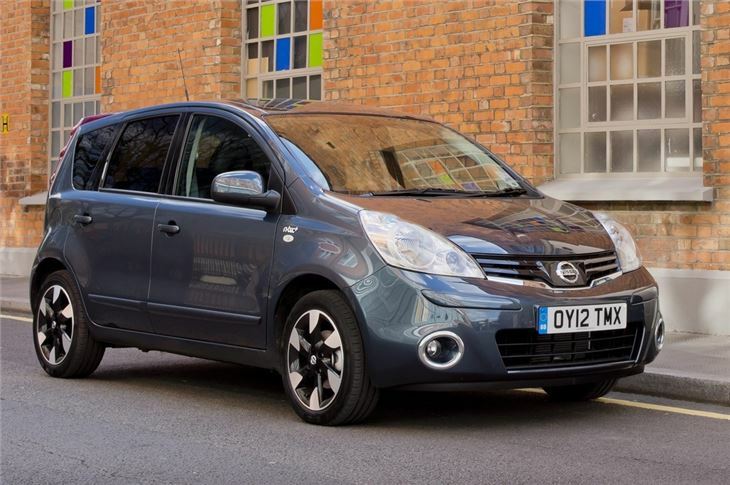 In fact, adults in the back of the Nissan Note will be impressed with the amount of legroom room and yet it still has a decent boot. 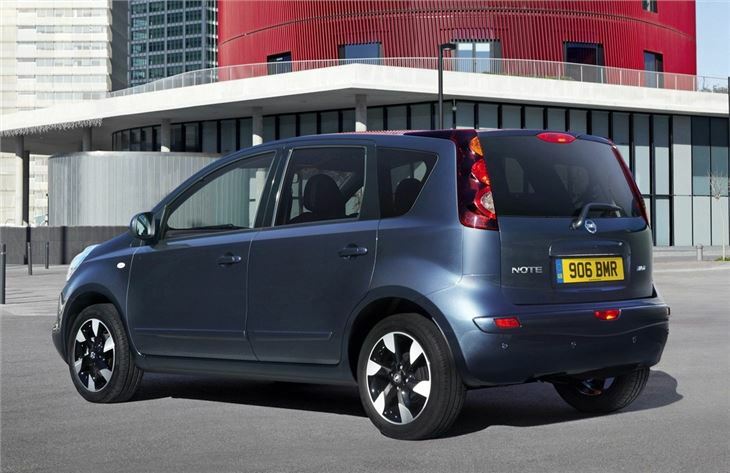 This means the Nissan Note is an ideal small family car with access to the back particularly good thanks to wide opening doors - useful when you're fitting child seats. Driving the Note is also a doddle thanks to light steering, easy to use controls and good forward visibility, while there's a decent choice of engines ranging from the entry-level 1.4-litre petrol up to a 1.5 dCi that can average 62.8mpg. 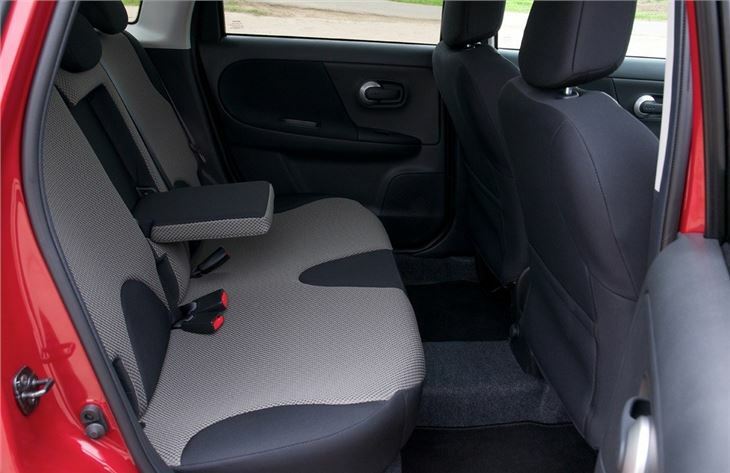 Practicality is another strength with rear seats that fold down flat at just the pull of a handle plus they slide back and forward to increase either legroom or luggage space. There's also something called a Flexi-board which creates a hidden storage area in the boot - one side of it is carpet while the other is wipe-clean, ideal for muddy wellies. You can also remove it to create a deep boot large enough to carry a pushchair or buggy. 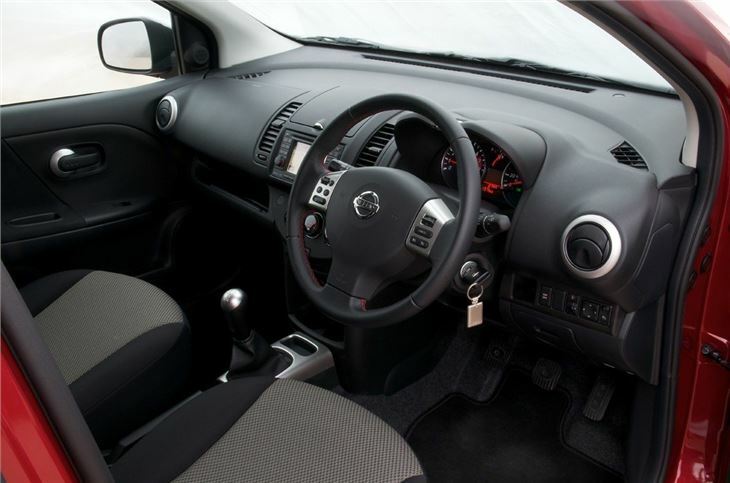 The Nissan Note was facelifted at the beginning of 2009 with a sharper front end (with new headlights and grille), improved levels of standard equipment and more efficient engines.